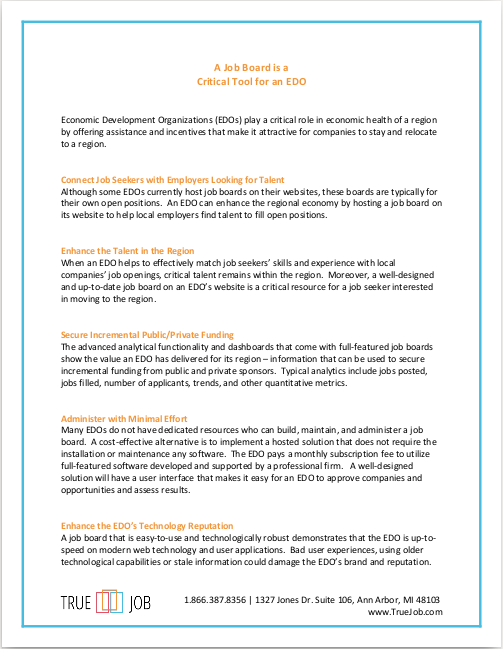 Use TrueJob’s built-in job statistics and analytics to demonstrate how you positively impacted your region’s economic health. Present this data to secure sponsorhips and funding from prospective private and public sources. Watch our video to see how your economic development organization can provide more value to your community, attract more sponsorships and funding, and increase website traffic. 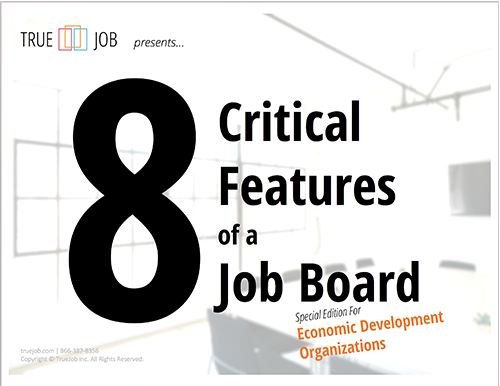 Read our concise overview of how a job board can be a strategic tool that translates into more sponsorships and funding for your Economic Development Organization.